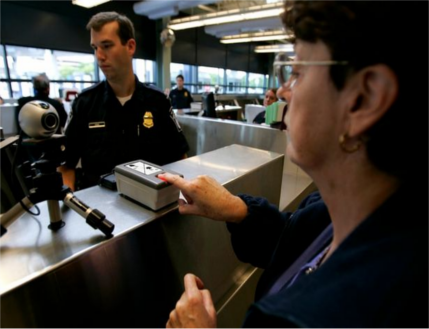 Any travellers visiting the USA under the visa waiver program, including Brits, will now be asked for their social media credentials by US border guards . It takes the form of a new question that appears on the Electronic System for Travel Authorisation (ESTA) form that visitors need to fill out. The extra question asks that travellers: "Please enter information associated with your online presence." It's followed by a drop-down menu covering the main social networks and a box for you to fill in your username for each. The US Department of Homeland Security initially proposed social media vetting back in June and, according to a government official speaking to Politico , the proposal was approved on December 19th. Handing over the information will be optional - but many may feel obligated to provide it for fear of being refused entry. According to the US Federal Register : "Collecting social media data will enhance the existing investigative process and provide DHS greater clarity and visibility to possible nefarious activity and connections by providing an additional tool set which analysts and investigators may use to better analyze and investigate the case." However, the controversial move has been met with criticism from some who believe it is a further invasion of privacy. "There are very few rules about how that information is being collected, maintained [and] disseminated to other agencies, and there are no guidelines about limiting the government’s use of that information," Michael W. Macleod-Ball, chief of staff for the American Civil Liberties Union’s Washington office told Politico. "While the government certainly has a right to collect some information ... it would be nice if they would focus on the privacy concerns some advocacy groups have long expressed." Those who oppose the move are also concerned that it will lead other countries to also start asking for social media information. The ESTA is part of the USA's visa-waiver program which allows citizens of 38 countries (including the UK) to travel to America for up to 90 days without a visa. Tell Me More About ESTA Please?